Penn State Behrend’s seniors are ready to make their mark on the world! We’re proud of our students and the things they’ve accomplished and learned while here at Behrend. Over the next couple months, we’ll be introducing you to a few of our remarkable seniors who have overcome challenges, pioneered new technology, participated in important research projects, and left an impression at Penn State Behrend. 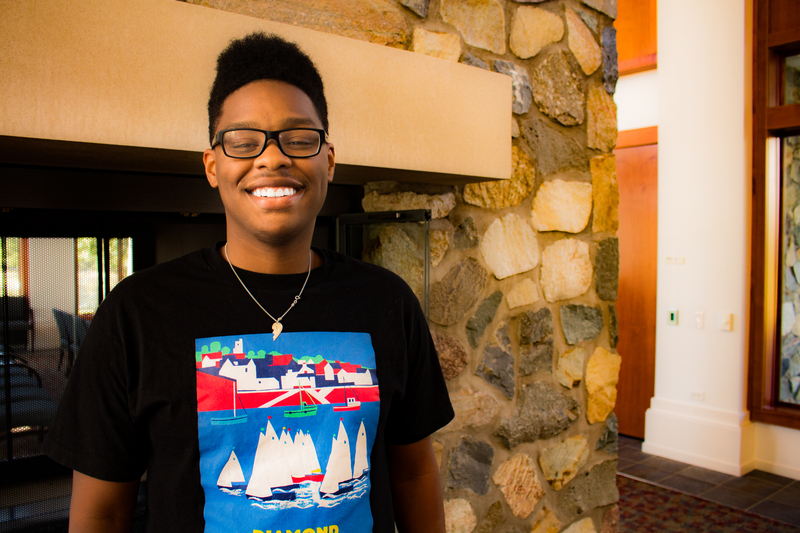 On choosing her major: I originally planned to major in biology, but wanted to do something a little more creative. DIGIT let me explore that side of my brain. Proudest accomplishment at Behrend? Receiving a Penn State Behrend summer fellowship and the Erickson Discovery Grant for my research with Dr. Aaron Mauro, assistant professor of English and digital humanities, on a Behrend history project. Campus involvement: I was involved with Diverse Organization of Photo and Video Enthusiasts and Wintergreen Media, Penn State Behrend’s student-run production company. Shutterbug: I am good at photography and depicting stories through my photos. What you’d be surprised to know about her: I want to eventually buy a van and live out of it while traveling. Advice for new student: Don’t be afraid to switch your major. This might mean you have to spend an extra semester in school, but it’s better than spending a lifetime working in a career you do not enjoy. Scholarship: I received the National Bank of North East Leadership Scholarship, the Lawrence and Elizabeth Held Scholarship, the Behrend Faculty and Staff Scholarship, and the Edward P. and Barbara F. Junker Scholarship. On choosing her major: I was drawn to numbers in high school, and I knew early on that I wanted a business degree. After I took some accounting classes, I realized it was a perfect fit for me. Proudest accomplishment at Behrend: I was the student marshal at commencement. It meant so much to me and my family that I was selected by faculty members to represent the Black School of Business. Campus involvement: I was involved in Circle K, Business Analytics Team, Accounting Club, Athena, Phi Kappa Phi, and the Behrend Beacon, and I helped produce and write the Black School of Business program newsletters. What she’s passionate about: Spreading goodness. This is a broad statement, but that is why I love it. Whether it is doing community service or simply smiling and saying hello to strangers, I think it is important to spread joy every day. I am a stronger believer in positivity. Not only will it make you feel better, but it will have a positive impact on everyone you come in contact with. Advice for new students: Set goals, but be flexible. If you are too set on one path, you might miss another one that is best for you. Nicole graduated from Penn State Behrend in December of 2017. She will return to the college in August to begin earning a Master of Professional Accounting degree. She plans to work in public accounting. Hello Penn State Behrend students, faculty, and staff. 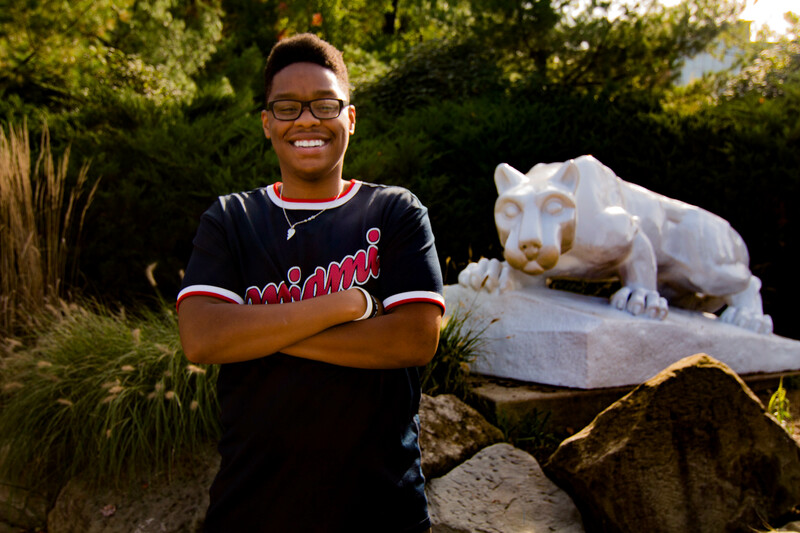 This is Brandon Moten, and I’m back with another post in my new blog series, “A Maryland State of Mind,” where I share my experience of attending Penn State Behrend as an out-of-state student from Bowie, Maryland. Today’s post is about my transition from living in Bowie to moving to Erie to begin my journey at Penn State Behrend. Since I was a child, I had always wanted to go to Penn State, something just drew me to this school. I never thought that dream would come to fruition, but in 2013, it became a reality. I accepted my opportunity to attend Penn State Behrend on the same day I received my acceptance letter. However, in the back of my mind, I knew this would be a big change for me, and there were many days where I wondered if I was ready for such a change. I had lived in Bowie my whole life. I love everything there: my friends, family, environments, and just the general lifestyle, too. I never had been to Erie before, so knowing that I would be moving away for four or five years was hard to comprehend. It was hard to imagine living on my own, doing things on my own, balancing schoolwork, maintaining a new social life, and other numerous changes. The whole situation created a lot of nerves and doubts for me. Thankfully, I put my nerves and doubts behind me after visiting the campus in July. I immediately felt like the Behrend campus was the place for me to succeed, grow, and enjoy life. The campus gave me a home-style feel, and my nerves and doubts turned into excitement and determination. Also, having amazing support from my family and friends gave me the motivation to continue my transition to Penn State Behrend. That August, it was time to move into Senat Hall and leaving Maryland was not as difficult as I felt it would be. Based on my July visit, I knew my transition would be a good one. There were definitely rough times throughout my freshman year. I often missed home, family, friends, and even Maryland food. In the end, I got through all of it because of what Behrend had to offer. I quickly made new friends and found Senat Hall to be a wonderful place to live. It was amazing to go to a college I have always wanted to attend since I was a kid. Leaving your hometown is never easy, but Penn State Behrend made it a lot easier for me. I’m happy that I can say today that it was one of the best decisions I have ever made. I have grown as a person, met amazing people, and the learning experiences here are really something special. Rachel holds a Hololens, a new holographic device from Microsoft. She worked with the new technology during her internship last summer and her capstone project this year. She will continue working with the device when she joins Microsoft as a software engineer after her graduation in May. Learn more about how Rachel’s senior design team put the HoloLens to use for a Fortune 500 company in the 2017 issue of Engineering News. Rachel, third from left, with other members of Behrend’s chapter of the Society of Women Engineers at the 2017 GE STEM Fair in Junker Center. After his graduation in May, Brandon will be attending graduate school at Indiana University of Pennsylvania. On choosing Penn State Behrend: My two older siblings, Timothy and Katie, attended Behrend’s School of Engineering. They both truly enjoyed their experience at Behrend and encouraged me to become a Penn Stater, too. I was also drawn to Behrend because of the smaller size that allows for students to have one-on-one connections with faculty members. On choosing to major in Mechanical Engineering: Throughout middle and high school, I was involved with Science Olympiad, where students compete in events in a variety of STEM disciplines. I was always most interested in the hands-on events. I like being able to create unique design solutions to problems and the fact that, in Mechanical Engineering, you never stop learning. My sister was an M.E. major and I saw from her coursework and activities that it was the perfect major for me, too. Scholarships: I’ve been the grateful recipient of several scholarships. I received the Shirley L. Roth Trustee Scholarship all four years and the Irvin Kochel Leadership Scholarship in my first year. I also received the Jake Boyle Memorial Scholarship in my junior year. Proudest accomplishment at Behrend: The undergraduate research I was involved in. My work has focused on the design, fabrication, and functional aspects of testing equipment and machines used in the research of direct methanol fuel cells and lithium-based batteries. Standout research work: In one challenging project, another student and I partnered to design and manufacture a lithium battery test machine to induce internal short circuits by physical cell penetration with increased functionality and precision compared to industry models. Our work was accepted to the ASME 2017 Power and Energy Conversion Conference. I was also honored to have my contribution to the project recognized by a Council of Fellows Undergraduate Student Research Award. Campus involvement: I’ve been greatly involved in Behrend’s Society of Automotive Engineers Supermileage Team since my first year. I’ve served as the secretary and am currently the vice president of the club. I have a unique role in the club as I’m one of the drivers of the high-efficiency vehicle the club designs, fabricates, and races each year. I’m also a member of Tau Beta Pi, the National Engineering Honor Society. Lifelong love of learning: From the time I was a young child, I’ve loved to learn, whether from books or after-school activities. College further strengthened that passion. Engineering is unique in that it is a continuously evolving field, and I know that as a professional engineer, I will always have the opportunity to develop my knowledge and skills. Sister act: I’ve always looked up to my older sister, Katie. She’s taught me to be a compassionate person and demonstrated to me the necessary dedication to studies. A degree in Mechanical Engineering is one more thing I have in common with my best friend. After her graduation in May, Mary Beth will be attending graduate school. She would ultimately like to find a job in industry in the area of product development and design.